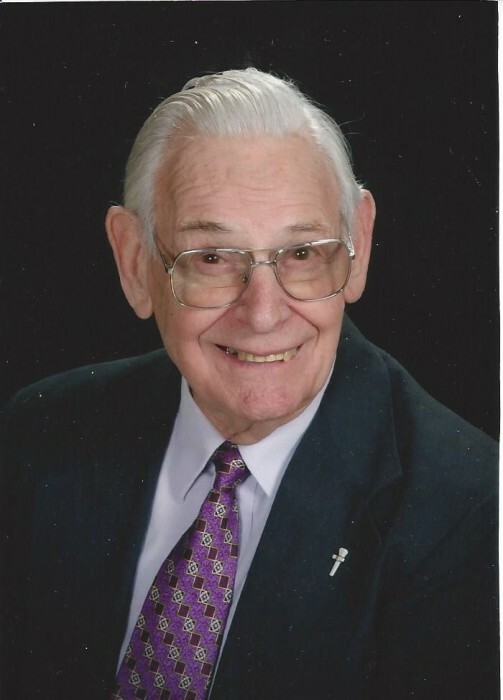 Robert M. “Pinky” Fortune, 90, of Coshocton passed away peacefully at Windsorwood Place on Wednesday, April 10, 2019. He was born in Coshocton on December 1, 1928 to the late Robert and Thelma (Lewis) Fortune. Pinky loved to fish, especially his trips to Canada, telling jokes and stories, and eating homemade ice cream - or any ice cream. He raised Black Angus cattle, never met a stranger and was a friend to all. He wrote poetry and was a standout basketball player, being a member of the 1947-48 Roscoe Tigers county championship team as a senior. He was a pitcher for the Zanesville Green Top Cabs and enjoyed family get togethers and the meals that went with them. He loved his family and playing hausey. Pinky had a gift for gab, a positive attitude and a zest for life. He believed in hard work, being honest and set a strong example for his family. He was fun to be around and enjoyed encouraging people. His motto was, “Dig, Fight & Scratch Every Day”. Pinky will be sadly missed by his family and all that knew him. He was a special person that was proud to call Coshocton and Roscoe home.